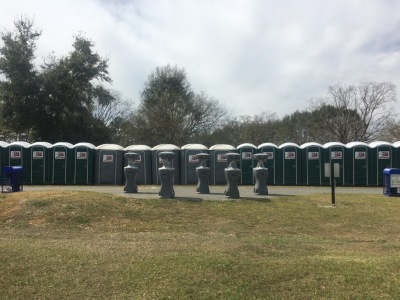 ​T & S Professional Rentals provides residential and commercial customers with quality portable toilet and sanitation equipment rentals. We offer state-of-the-art portable units that are clean, comfortable and spacious. Also, our staff is professional, friendly and knowledgeable. We carry a wide variety of portable bathroom solutions, from portable sinks to handicapped-accessible units and more. ​T & S Professional Rentals is here to serve you! If you have a portable toilet and sink need, let us provide you with the quality service you deserve. We are available 24 hours a day, seven days a week for your convenience. Whether you have a construction site, a wedding or other special or corporate event, we go above and beyond to assist you with your sanitation needs. Please contact us today for an estimate. Orlando, Winter Park, Casselberry, Apopka, Daytona Beach, Altamonte Springs, Sanford, Lake Mary, Longwood, Clermont, Maitland, Winter Springs, Oviedo, University of Central Florida, Waterford Lakes, Winter Garden, Ocoee, Mount Dora, Eustis, Tavares, Leesburg, Ormond Beach, Port Orange, Daytona, Deland, Debary, Orange City, Polk County, Deltona and all surrounding areas.